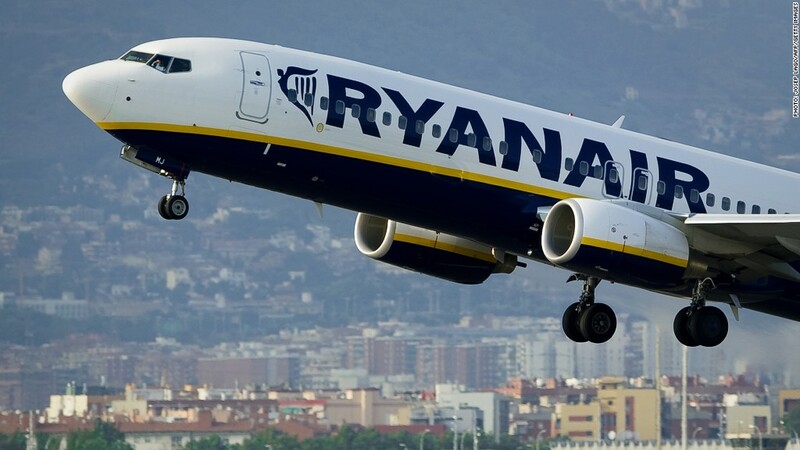 Ryanair departing Britain over Brexit? Many Brits are prepared to pay an extreme price in order to leave the European Union. Three out of five people who voted to leave in June 2016 regard "significant damage to the British economy to be a price worth paying" for Brexit, according to a new survey by YouGov. The poll of nearly 5,000 people also showed that 39% of Brexit supporters think that it would be worth losing their job -- or having a family member lose theirs -- in order to leave the EU. A nearly equal share -- 38% -- said that lost jobs were too high a price to pay. Twenty-three percent of respondents said they were undecided. The survey results underscore the intense debate in Britain over its impending departure from the EU. A narrow majority -- 52% -- voted over a year ago to leave the EU. The divorce will be official in March 2019, but a transitional period of up to three years may be needed to protect businesses. The survey results suggest that divisions between "leavers" and "remainers" have yet to heal. Nearly one in five people who voted against Brexit believe that "significant damage to the British economy ... [is] a price worth paying to teach Leave politicians and Leave voters a lesson." During the referendum campaign, Brexit supporters argued that leaving the EU would allow the U.K. to reduce immigration and take more control over its own affairs. Opponents, meanwhile, made the case that severing Britain's ties to its largest trading partner would harm its economy and currency. The value of the British pound dropped dramatically in the aftermath of the referendum, but the economy held up better than many economists had expected. But its momentum is now fading. Brits are saving the smallest share of disposable income in over 50 years and credit card borrowing is at record high. Wages are stagnating and consumer confidence is crashing. Data published Tuesday confirmed that eurozone economies grew twice as quickly as Britain's in the second quarter.